You likely didn’t miss swooning over righteous Captain Yoo Shi Jin from Descendants of The Sun, or mischievous Crown Prince Lee Yeong from Love in the Moonlight. You probably also haven’t bypassed W’s thrilling dimensions, or forgotten the tenseness of the crime-solving in Signal. In short, you might have been able to keep track of this year’s bests, but have you uncovered all the hidden gem dramas? If you’ve already caught up with your current favorites and still in need of something binge-worthy, fret no more, we’ve made a list just for you! Check out these 6 hidden gem dramas lying underneath the Kdrama treasure trove, deserving of a spot on your queue. Beautiful Mind is a medical mystery drama about a genius neurosurgeon, who’s deemed as a monster due to his apathetic, antisocial personality. Series of bizarre hospital deaths soon intensifies the misinterpretations on his behaviors, and those around him treats him as a psychopath. Along the way, he meets a rookie policewoman also investigating the deaths at the hospital, and changes for the better thanks to her. Beautiful Mind showcased a gripping colloquy on hospital politics and moral controversies. The hero’s emotional development, and the swoon-worthy romance as our heroine breaks through our hero’s scarred exterior are sure to consume your attention. 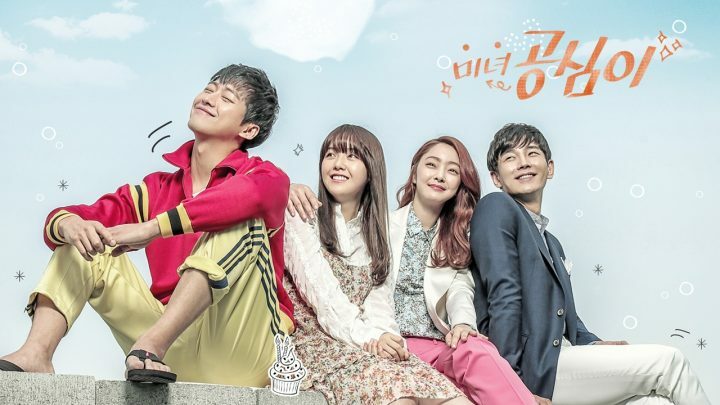 Another Oh Hae Young is a quirky story of two women who became entangled with each other’s lives for sharing the same name – where the ordinary Oh Hae Young suffered a great deal of jinx from being overshadowed by the pretty Oh Hae Young. Ordinary Oh Hae Young’s periodic whammies then steered towards meeting a guy capable of seeing the future. The mystery behind the hero’s psychic abilities and his various attempts in escaping his fate will keep up your curiosity until the end. Moreover, the spark of gnarly romance coupled from series of misfortunes, mistaken identity, cohabitation, and quest for self-worth will keep you emotionally invested too. Who would have thought that cops and criminals could actually form an alliance for a common good? Well, this is the premise of 38 Revenue Collection Unit – a chief officer of revenue collection unit collaborating with a con man in reclaiming overdue taxes from evaders. The drama’s approach in presenting real-world problems through a rich and subtle plot brimmed with mind-blowing twists and turns is very fetching. You’ll be amazed to see how brilliant conman jobs are executed, and the comical bromance between our heroes will definitely give you a good laugh as you tag along their corruption-busting journey. If you’re into something light-hearted, playful, and borderline cheesy like me, then Beautiful Gong Shim is perfect to binge on. This drama is filled with adorable characters. On top of which, the hybrid of pseudo birth secrets, platonic friendship, sibling rivalry, and lovely romance spawned to an unpredictable yet hilarious storyline. For sure, our damsel in distress Gong Shim will never fail to keep you chortling and anticipating, especially when love finally blossomed between her and our mysterious, rollicking hero. Marriage Contract is one phenomenal melodrama that’ll truly warm your heart. I really have nothing but praise for UEE’s outstanding performance in the drama as she breathes life to a brave single mother who struggles to be a good provider for her daughter while facing grave health condition and financial adversity. Although contract marriage and terminal illness are pretty overused themes, the magnificent acting and the drama’s histrionic delivery are powerful enough to make you thoroughly engaged, and cry a river along with our characters. Age of Youth is a female-centric drama about five girls with distinct personalities living together in the same apartment. This show was attributed for its slice-of-life footings on mundane events about love, life, studies, and family over the hilarious housemate hijinks. Romance wasn’t the central point of this drama, but you’ll certainly be hooked as each girl’s back story unravels and cheer them on as they form a strong rapport to support each other in overcoming life’s obstacles. Got another hidden gem drama to share with us? Tell us in the comments section below!